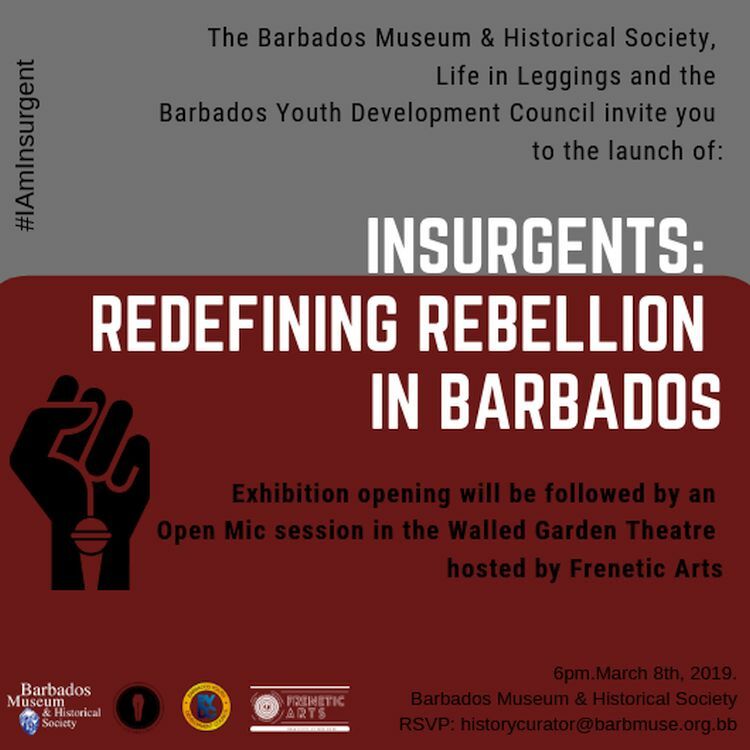 The Barbados Museum and Historical Society invites you to the Opening Reception of their latest Art Exhibition entitled Insurgents: Redefining Rebellion in Barbados. 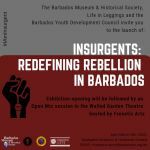 Directly following the opening, have your opportunity to speak in an Open Mic Session hosted by Frenetic Arts in the Walled Garden Theatre. Pre-register to perform by emailing info@frentic-arts.com or sign up on the night.